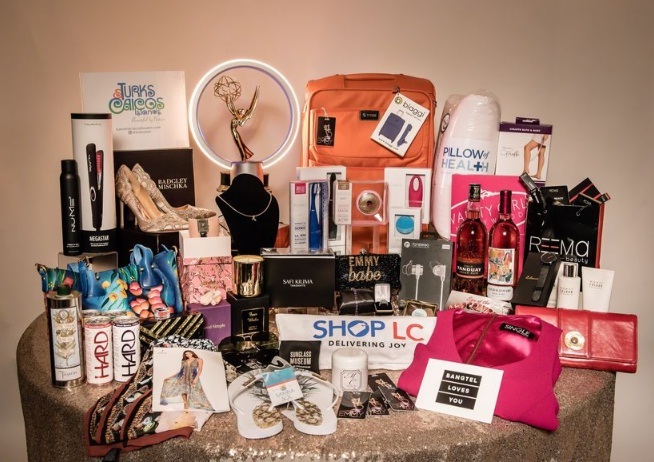 The Daytime Emmys Golden Gifting Suite Gift Bag Giveaway is for the legal residents of the United States and the District of Columbia (excluding the territory of Puerto Rico) and for those who are at least 18 years of age or older as of the date of entry. The Giveaway ends on 5th June, 2018 at 11:59 PM PST. Only one winner will be selected in this Giveaway and the Prize for the winner is A Gift Bag from the Daytime Emmys Golden Gifting Suite. All entrants, as a condition of entry, agree to be bound by the official rules and the decisions of Sponsor, And the odds of winning depend upon the number of eligible entries received. No purchase is required to enter or win because purchase will not increase your chances of winning. Eligibility: Open only for those who are the legal residents of the 50 United States and the District of Columbia (excluding the territory of Puerto Rico) and for those who at least 18 years of age or older as of the date of entry. Prize (s): A Gift Bag from the Daytime Emmys Golden Gifting Suite.